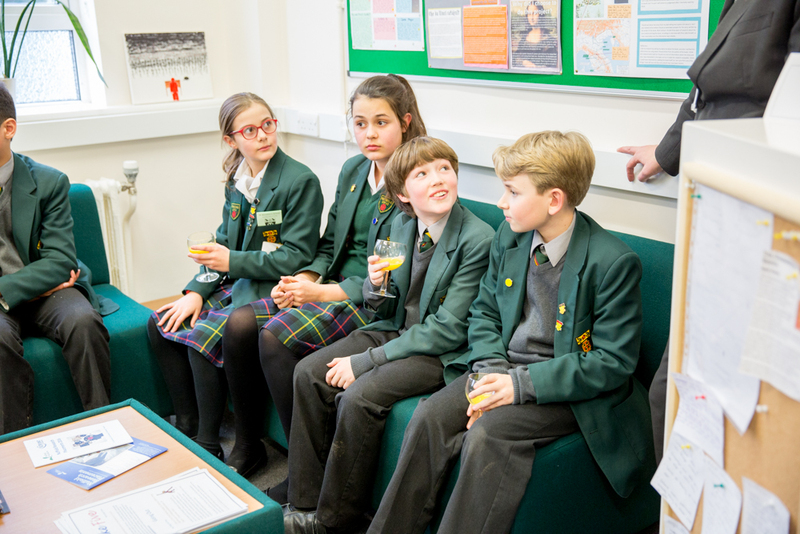 The Helikon Centre, a dedicated space for stimulating intellectual activity and discussion, was officially opened on Tuesday, 13th March. 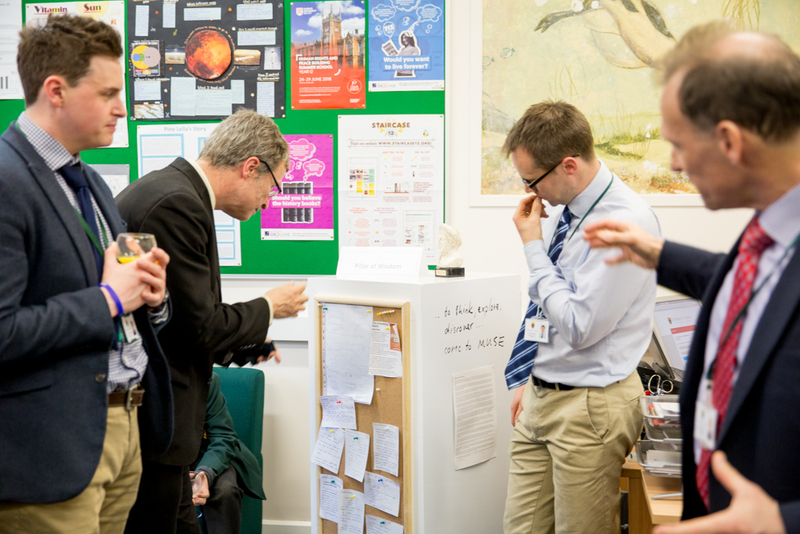 Named after Mount Helikon - a place where the Muses sought inspiration – St Benedict’s new ‘learning hub’ has been buzzing with curiosity, erudition and the sharing of ideas since it launched in January, with a weekly programme of talks, lecture screenings and debates for all year groups. 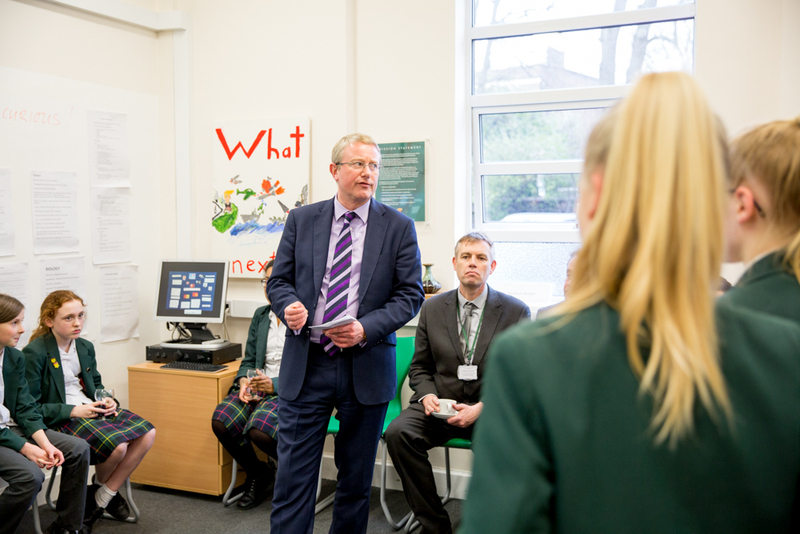 It was opened by Chair of Governors, Mr Pat Murphy-O’Connor. 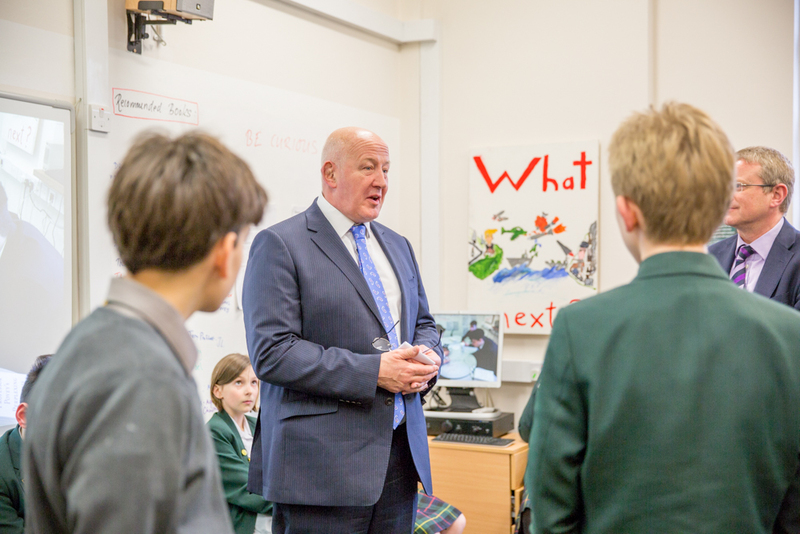 As a former pupil - who attended the school from the age of 6 to 18 – and St Benedict’s parent, Mr O’Connor said he was delighted that more spaces for pupils to learn, and to follow their curiosity, were being provided. 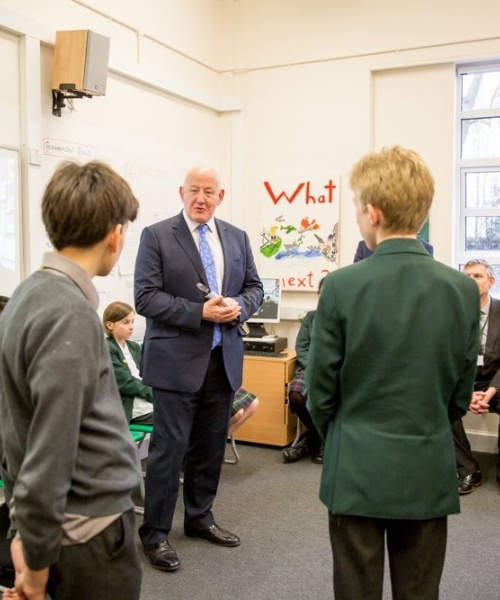 He welcomed this initiative to promote academic stretch, challenge, and lifelong learning. 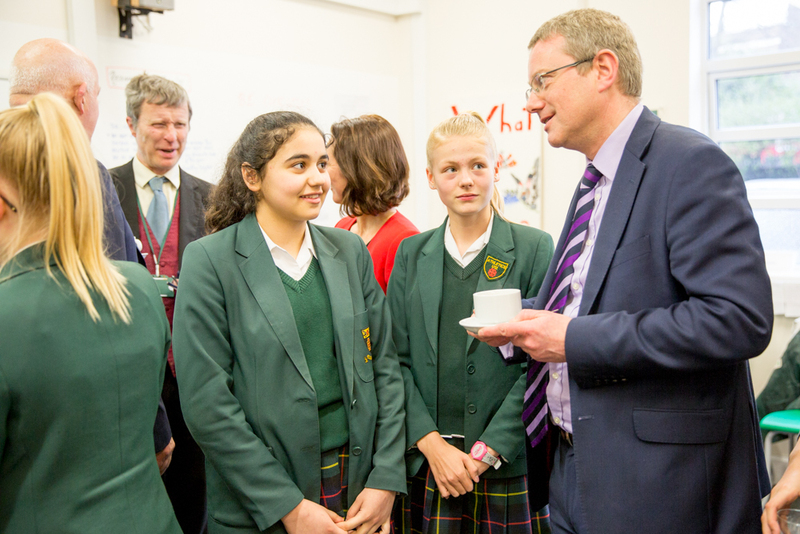 The Headmaster, Mr Andrew Johnson, said that The Helikon Centre was a place where ideas can be sparked and interests can be pursued, and emphasised the importance of intellectual curiosity. 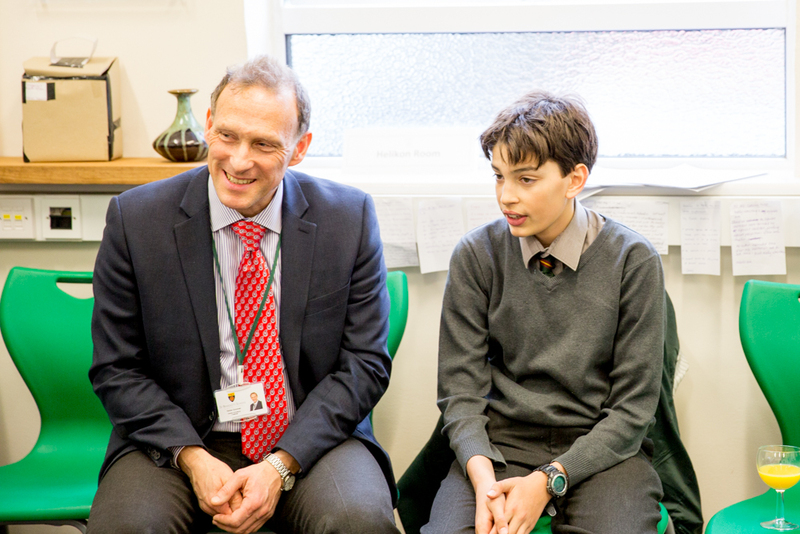 Director of Academic Challenge, Mr Stefan Scicinski, quoted William Henry Davies: ‘What is this life if, full of care, we have no time to stand and stare,’ and underlined the importance of exploring different ideas and new areas of knowledge.